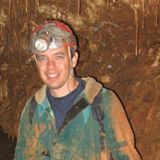 Dr. Blaine Schubert is the Director of the ETSU Museum of Natural History and Gray Fossil Site (Facebook, Twitter) and Assistant Professor in the Department of Geosciences at East Tennessee State University. We participated in a panel for Darwin Day earlier this year. I invited him to speak with me on Religion For Life. 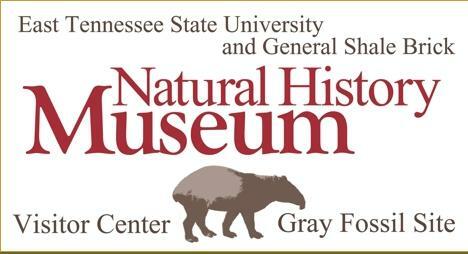 We discussed caves, the Cave Paleontology Program at ETSU, the fossil site and natural history museum at Gray, the importance of science education, evolution, Richard Dawkins, and spirituality! Thursday, June 12th at 8 pm on WETS, 89.5. Saturday, June 14th at 1 pm on KZUM, 89.3. Sunday, June 15th at noon on WEHC, 90.7. Sunday, June 15th at 2 pm on WETS, 89.5. Monday, June 16th at 1 pm on WEHC, 90.7. Wednesday, June 18th at 6:30 pm on WEHC, 90.7. Via podcast beginning June 19th.